On the 17th of December 2015, in Tirana the Drin Core Group (DCG) met once again as the official body for the coordination of the actions of the Parties involved in the implementation of the Drin MoU and the corresponding Action Programme. 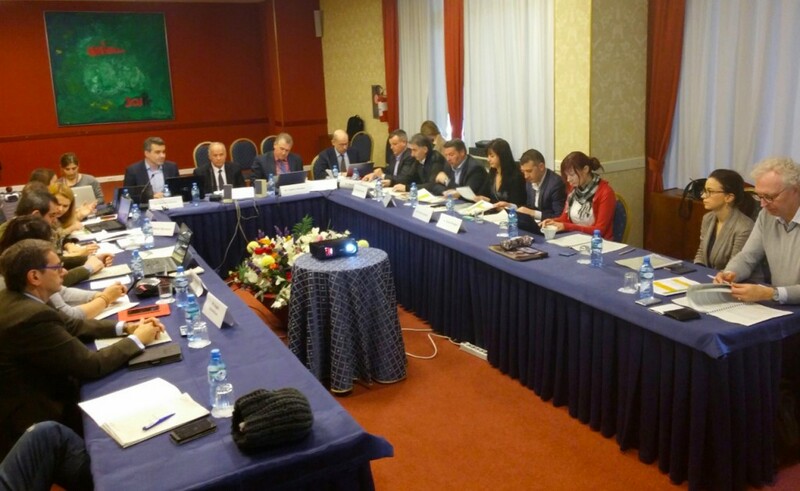 The DCG acts as the Steering Committee of the GEF projects aiming to promote the joint management of the Drin River Basin, as decided by the 1st Meeting of the Parties, at Ministerial level (Tirana, 28 May 2013). MIO-ECSDE participates in the Steering Committee of the GEF projects as observer. MIO-ECSDE actively participated at the Drin Core Group and the 1st Steering Committee of the GEF projects that focused on the 2016 work programme and issues related to Drin expert working groups, the transboundary diagnostic analysis, the national inter-ministerial committees, the upcoming ministerial meeting, the planned capacity building workshops, the pilots/demonstration activities and the awareness raising actions. With regards to the latter, MIO-ECSDE Programme Officer Thomais Vlachogianni provided the participants an overview of the main points discussed at the Act4Drin networking meeting held on the 16 December 2015 regarding the Act4Drin Day 2016, the upcoming Act4Drin spring school (April 2016) and the NGO led Drin related projects in the region concretely contributing to the implementation of the Drin MoU and Action Programme. These were well received by the Members of the Drin Core Group who will furthemore explore in the next coming months, until their next meeting, MIO-ECSDE’s proposal to adopt the Act4Drin publication “The natural wealth and legacy of the Drin River Basin” and the short films triplet “Echoes from the Drin” as valuable communication vehicles towards raising awareness of the riparian communities on the value of their common natural wealth.